Preheat oven to 425°F. Line a large rimmed baking sheet with aluminum foil. Place a wire rack inside baking sheet and spray with cooking spray. Pat chicken wings dry with paper towels. Stir together 1 tablespoon brown sugar, salt, garlic powder, onion powder, chili powder, cumin, smoked paprika and black pepper in large bowl. Add chicken wings to bowl and toss to coat with spice mixture. Place wings skin-side up on rack. Bake 30 minutes, until golden brown. Meanwhile, stir together Manwich and remaining 1/4 cup brown sugar in small sauce pan; bring to a simmer over medium-low heat. Cook 5 minutes, until sugar is dissolved. 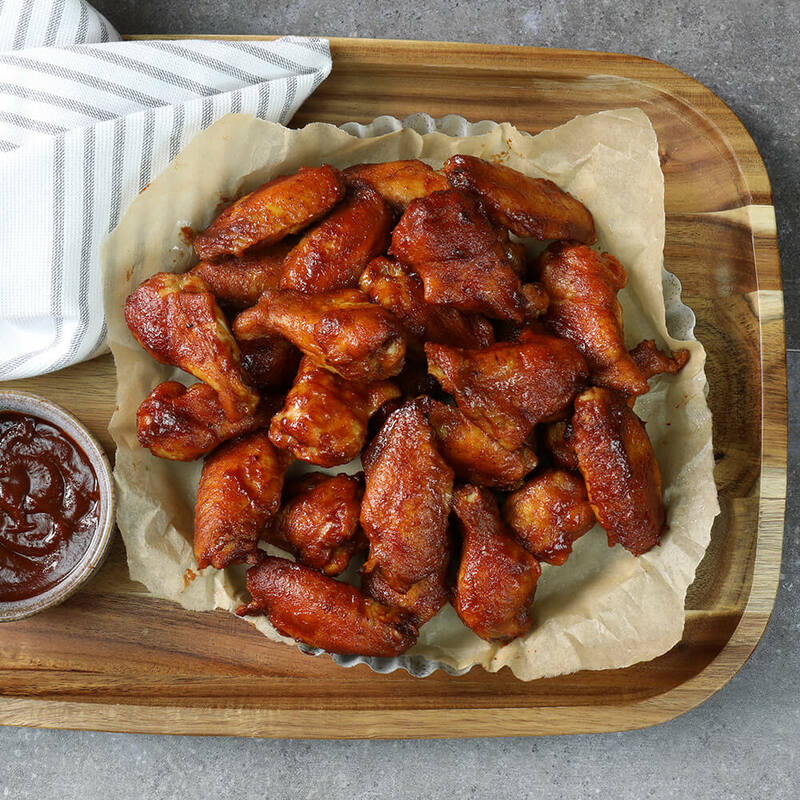 Dip cooked wings in sauce and return to rack. Bake 10 minutes, until sauce is glazed and chicken is no longer pink (180°F). Serve with any remaining sauce.